Rainfall associated with landfalling tropical cyclones plays a crucial role in terms of rainfall extremes and climatology in many areas of the world, from the tropics to the mid-latitudes. The flooding caused by these storms have been responsible for significant societal and economic impacts, with hundreds of fatalities and losses in the billions of dollars. In the United States alone, Hurricanes Harvey, Irma, and Maria (2017) and Hurricanes Florence and Michael (2018) represent some of the latest examples of the devastation associated with these storms. Therefore, an improved understanding and prediction of the heavy rainfall and flooding associated with tropical cyclones can provide basic information towards improving our preparedness, mitigation and management of these hazards. This presentation will provide an overview of the heavy rainfall and flooding associated with tropical cyclones using a combination of observations and outputs from climate models. The results will provide a broad geographical and temporal view of the hazards associated with landfalling tropical cyclones, as well as recent insights into their predictability. Gabriele Villarini is an associate professor in the Department of Civil and Environmental Engineering at the University of Iowa, and the Director of IIHR-Hydroscience & Engineering. He received his M.S. in Civil Engineering in 2003 from the University of Rome “La Sapienza,” and his Ph.D. in Civil and Environmental Engineering in 2008 from the University of Iowa; he also received his Executive MBA from the Tippie School of Business at the University of Iowa in 2018. He was a researcher and Willis Research Fellow in the Department of Civil and Environmental Engineering at Princeton University from 2008 to 2012. His research interests focus on flood hydrology, extreme events, hydroclimatology, and climate predictions and projections. He has received a number of national and international awards, including the “Hydrological Sciences Outstanding Young Scientist Award” by the European Geosciences Union (2013), the National Science Foundation’s CAREER Award and the Editor’s Award – Journal of Climate” by the American Meteorological Society (2014), and the James B. Macelwane Medal by the American Geophysical Union (2016). He is a Fellow of the American Geophysical Union (2016). He has published over 160 peer-reviewed papers, including articles in Nature, Science, Nature Climate Change and the Proceedings of the National Academy of Sciences. He served as a member of the American Geophysical Union Precipitation Committee and of the U.S.-CLIVAR Working Group on Hurricanes and Climate. For over the last 20 years, Keith has been in a managerial role of Sunset House in Grand Cayman, Cayman Islands. He is an accomplished diver, strategist, hotelier & marketer. Offering a rare blend of creative and operational strengths, he is a former board member of the Diving Equipment and Marketing Association (DEMA) and Cayman Islands Tourism Association (CITA). Keith was one of the first to install coral farms in the Cayman Islands and co-founder of the island’s NGO “Save Cayman”. He has been a guest speaker at numerous DEMA events and was named “Diver of the Year” in 2015 by Beneath the Sea for his role in promoting SCUBA recreation, training, safety and advocate for the seas. He is also the Co-Founder of a “mission therapy” nonprofit known as Force Blue. FORCE BLUE is the only nonprofit organization in the world that provides “mission therapy” for former combat divers – individuals in whom governments around the world have invested millions to create the best possible underwater and maritime operators – by retraining, retooling and deploying them on missions of conservation, preservation and restoration. By uniting the community of Special Operations veterans with the world of marine science and conservation in one, mission-focused program, FORCE BLUE has created a model of caring, cooperation and positive change with the power to restore lives and restore the planet. Paul R. Greenough is Emeritus Professor of Modern Indian History and of Community and Behavioral Health at the University of Iowa. He was the Director of the University’s South Asian Studies Program and co-director of the Global Health Studies Program. He earned his bachelor’s degree from Columbia University and his PhD from the University of Chicago. His recent research concerns themes in India’s environmental history and the history of public health and the introduction of field epidemiology into the post-colonial world. Among other works he is the author of Prosperity and Misery in Modern Bengal: the Famine of 1943 (1982; reprint edition 2017; Bengali edition 1997) and co-editor of three collections: Nature in the Global South: Environmental Projects in South and Southeast Asia (2003), Against Stigma: Global Studies in Caste and Race (2009), and The Politics of Vaccination: A Global History (2017). Professor Greenough is a Senior Fulbright-Nehru Fellow attached to the Department of History of Jadavpur University. The house crows of India, as the name suggests, live side by side with humans in towns and cities. They mainly survive by eating left-over food wastes (garbage). They are highly intelligent birds and occupy a middle position between wild nature and human culture; they show up prominently in Indian art, religion, literature and folklore. From ancient times the cawing of crows has been India’s sound-track. Nowadays their voice is fainter because of intense environmental hazards, and crow populations in larger Indian cities are declining. At the same time Indian house crows have been spreading to other countries (for example, a breeding colony was established in Florida only in 2015). This talk recaps a recent research trip he made to study house crows in India and the challenges he faces writing about their saga. connects to us due to its impact on climate, forest loss, environmental degradation and health affects. Anthony and Udaykumar will discuss the importance of this problem not only to women and children in the global south, but to all of us. H.S. Udaykumar received a Bachelor of Technology from the Indian Institute of Technology in Chennai, India, in 1988 and went on to pursue a Master’s and PhD from the University of Florida. He works with the Iowa Institute of Hydraulic Research in Hydroscience and Engineering, and is a member of the American Society of Mechanical Engineers, the American Institue of Aeronautics and Astronautics, and the Biomedical Engineering Society. Udaykumar is passionate about implementing sustainable designs not only in developing countries, but also shifting policies and energy choices in an industrial setting. He initiated and led the India solar cook-stove project, bringing groups of UI students to rural areas in Rajasthan to develop and implement more efficient designs for cooking. Jerry Anthony received a Bachelor of Architecture from the University of Kerala, India, in 1989 and went on to pursue a Master’s in Town Planning from the School of Planning and Architecture in New Delhi, India, and a Ph.D. in 2000 in Urban and Regional Planning from Florida State University. Anthony’s major research and teaching interests center around housing and community development issues, particularly affordable housing policies; growth management, where he is concerned with the benefits and costs of growth management distribution across different income populations; and land, infrastructure and housing market issues in the developing regions of South Asia and Latin America. He has served as chair of Iowa City’s Housing and Community Development Commission and member of the Iowa City Sit Housing Taskforce, and Director of the Housing Policy Program at the PPC. Each person in the U.S., on average, creates 4.6 pounds of waste each day. What happens to that waste? It affects everything we do in several ways, ranging from human health to environmental wellness. This lecture will define the social and cultural aspects of garbage as well as develop an understanding of the link between garbage, human health and environmental health. The life cycle of our modern waste products, their detrimental impacts on human populations and ecosystems, and implications for the future of global sustainability will be explored. The lecture will end with discussing the past, present and future solutions to the growing environmental threat. Blake Rupe is an Iowa-based digital content manager, editor, instructor and passionate conservationist. As the digital content strategist for the University of Iowa, Blake publishes web content and tracks data points that drive collegiate efforts. Her strengths lie in identifying trends and providing insights for the management team. As an Adjunct Instructor, Blake uses her tech skills to research, develop and teach tech courses for the Global Health Department that focus on the intersection of entrepreneurship, sustainability and global health. Tama will speak about the landscapes experienced though her work, which includes a book about wilderness civilizations, a collection of photographs of the far northern biome, as well as bodies of work on the absence of natural darkness and landscape as experienced at a high rate of speed. These photographed stories are derived from her experiences in the high arctic and the recent #NoDAPL movement. Her works have been exhibited in the Royal Photographic Society, the Los Angeles Center of Photography, and the Minneapolis Photo Center. In the fall of 2015 she was an artist-in-residence at the Carpenter Ranch on the Yampa River as part of a collaboration between the Nature Conservancy and the Colorado Arts Ranch. Last December she documented the Standing Rock protests. Tama Baldwin is a photographer and writer with degrees from Johns Hopkins University, Salisbury State University, The State University of New York and Ohio University. She has received an Illinois Arts Council Individual Artists Fellowship, a Fulbright, as well as residencies at Yaddo, McDowell, and the Virginia Center for the Creative Arts. From 1991 to 1995 at the U.S. Mission to the UN in Geneva, Lange managed humanitarian and refugee assistance channeled through international organizations. He also had tours of duty in the State Department Bureaus of African Affairs, Western Hemisphere Affairs and Management in Washington and at U.S. Embassies in Togo, France and Mexico. The United Nations Foundation was launched in 1998 with a $1 billion gift from Ted Turner to support the United Nations causes. The United Nations Foundation links the UN’s work with others around the world, mobilizing the energy and expertise of business and non-governmental organizations to help the UN tackle issues including climate change, global health, peace and security, women’s empowerment, poverty eradication, energy access, and U.S.-UN relations. Ambassador Lange’s visit to Iowa is sponsored by the Iowa United Nations Association, the state affiliate of the United Nations Association of the USA, a program of the United Nations Foundation. Ambassador John E. Lange (Ret.) serves as the primary focal point for the UN Foundation’s global health diplomacy activities. Prior to joining the Foundation in July 2013, Lange spent four years at the Bill & Melinda Gates Foundation working with African governments to improve public health. He has served as co-chair of the Global Polio Eradication Initiative’s Polio Partners Group since its launch in April 2012. Ambassador Lange had a 28-year career in the Foreign Service at the U.S. Department of State, including service as Special Representative on Avian and Pandemic Influenza; Deputy Inspector General; Deputy U.S. Global AIDS Coordinator at the inception of the President’s Emergency Plan for AIDS Relief; and Associate Dean at the Foreign Service Institute. He was Ambassador to Botswana from 1999 to 2002 and simultaneously served as Special Representative to the Southern African Development Community. In April 2009, Dr. Craig Just addressed the Iowa City Foreign Relations Council with his talk titled “To Hell With Good Intentions? : Reflections on the Consequences of ‘Saving the World'”. Since then, Dr. Just has continued his work in developing countries, focused mostly on sustainable water resources development projects. But, increasingly, the issues faced by communities in developing countries parallel the challenges rural communities face in developed countries like the United States. In this talk, Dr. Just will revisit his “good intentions” toward achieving rural water sustainability both locally and abroad. 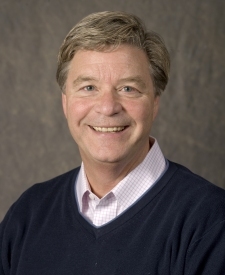 Dr. Just has served the College of Engineering at the University of Iowa since 1993. He earned a master’s degree in chemistry from the University of Northern Iowa in 1994 and a Ph.D. in environmental engineering and science from the University of Iowa in 2001. 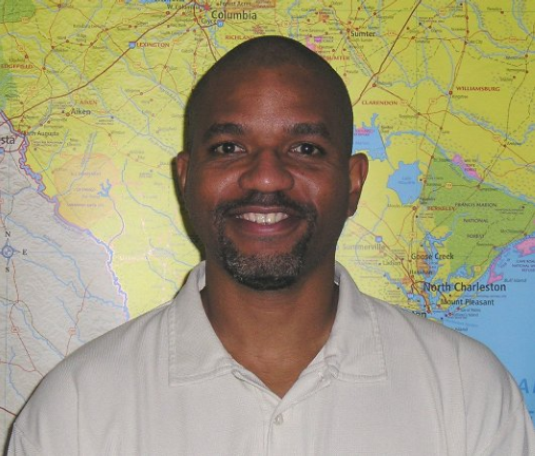 He is an Assistant Professor in the Department of Civil and Environmental Engineering and an assistant research engineer at IIHR – Hydroscience & Engineering. Dr. Just teaches Design for the Developing World, an interdisciplinary course targeted toward upper class students interested in advancing sustainable development in resource-poor countries. Dr. Just was awarded the University of Iowa, President and Provost Award for Teaching Excellence in 2008 for creative utilization of service-learning and for engaged scholarship through teaching. Dr. Just is the faculty adviser for the University of Iowa, Engineers Without Borders USA student chapter and for the Bridges to Prosperity student chapter. Sir Geoffrey Winston Russell Palmer served as the 33rd Prime Minister of New Zealand from August 1989 until September 1990, leading the Fourth Labour Government. He was responsible for major reforms of the country’s legal and constitutional framework, such as the creation of the Constitution Act 1986, New Zealand Bill of Rights, Imperial Laws Application Act and the State Sector Act. A highly regarded lawyer, In 2010 Palmer was chosen to chair a UN Inquiry panel into the fatal Israeli raid on the Mavi Marmara, supporting the Israeli Security Forces’ legitimate use of force. Sir Geoffrey is also a renowned Environmentalist, in 2002 he was appointed as New Zealand’s representative to the International Whaling Commission. In 1991 he was listed on the UN Global Roll of Honour. Palmer was educated at the Victoria University of Wellington and at the University of Chicago receiving a Juris Doctor in 1967. 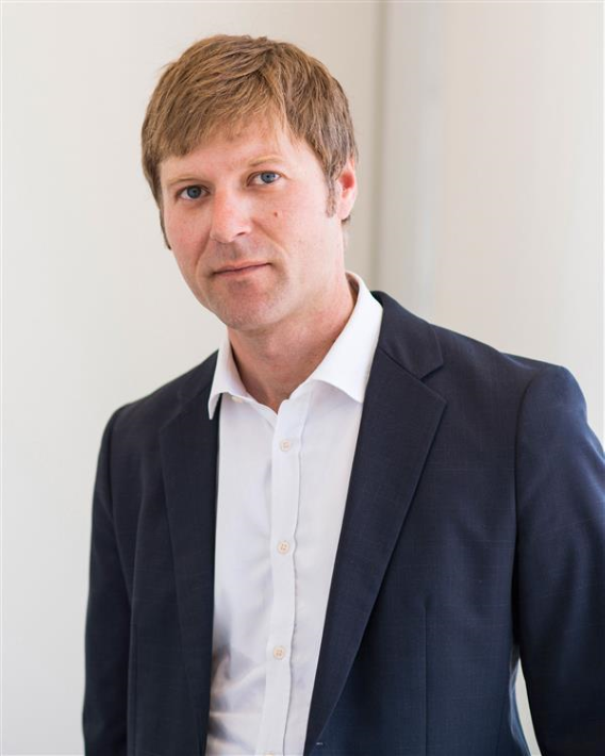 He worked as a solicitor for a Wellington law firm before turning to teaching, becoming a lecturer in political science at Victoria University of Wellington, Professor of Law at the Universities of Iowa and of Virginia, and Professor of English and New Zealand law at Victoria again. After joining the New Zealand Labour Party in 1975, he was elected to Parliament in 1979. He became personal assistant to the Prime Minister Wallace Edward Rowling and soon was deputy leader of the party and deputy Prime Minister and Minister of Justice and Attorney General. Margaret Carrel serves as Assistant Professor in the UI Department of Geography. She received her Ph.D. from the University of North Carolina, Chapel Hill. Her research interests include the geography of infectious disease, landscape genetics and disease ecology. The focus of her research is how to understand how complex interactions between people and environments result in disease outcomes and the evolution of human pathogens. She has also conducted disease research in rural Bangladesh on the correlation of flood control measures and the prevention of diarrheal events. Most recently she has begun research in Iowa surrounding residential proximity to swine and its relation to MRSA infections. 18 years ago, sheets of ice made the Northwest Passage impassable for David Thoreson and his sailing crew. However, global rises in air and water temperatures as a result of humankind-powered changes in climate have since made this area (and others) accessible to transit, and just five years ago David circumnavigated the American continents on a 28,000-mile journey spanning our hemisphere. Today, our oceans are expanding as ice melts, filling with plastics and chemicals as consumption skyrockets, and losing their bounties of biodiversity as degradation overwhelms fragile ecosystems. David will share with us tales and visions of his adventures which led him from a small town in Iowa into the Arctic expanse – a realm of threatened wonder and evolving history in which one cannot evade the precarious implications of our growing society. 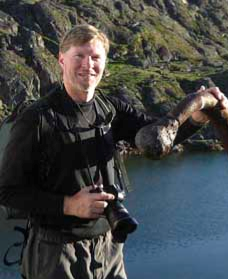 David Thoreson is a modern explorer, writer, and expedition leader of Blue Water Ventures – a supplier of eco-adventures for students and adults. A resident of Sprit Lake, Iowa, David became, with his Cloud Nine crew, the first American sailors to fully span the Northwest Passage in both directions. Capturing memories in film and writing, David’s experiences have risen to focus in the media, including highlights in the National Park Service, the Smithsonian Institution, the Wall Street Journal, PBS, and a recent TEDx presentation in Colorado. His ABC documentary on the 28,000-mile, scientific journey was nominated for an Emmy Award in 2011. Thirty years after Methyl IsoCyanate (MIC) leaked from the Union Carbide (now a wholly-owned subsidiary of the Dow Chemical Company) pesticide plant in Bhopal, India, the disaster has claimed over 25,000 lives and over 150,000 people are chronically ill. Water and soil contamination from the abandoned factory have multiplied the impact of the disaster and have left women and children particularly vulnerable. The Bhopali survivors have waged a 30-year struggle for justice on a transnational scale, seeking adequate compensation, medical care, clean water and a comprehensive cleanup of the abandoned factory and its surroundings. Renu Pariyadath will discuss the disaster’s continuing health impacts in Bhopal today and the status of the transnational campaign produced in its wake. Renu Pariyadath is a Ph.D. Candidate in the Communication Studies Department at the University of Iowa with a minor in Gender, Women’s and Sexuality Studies. 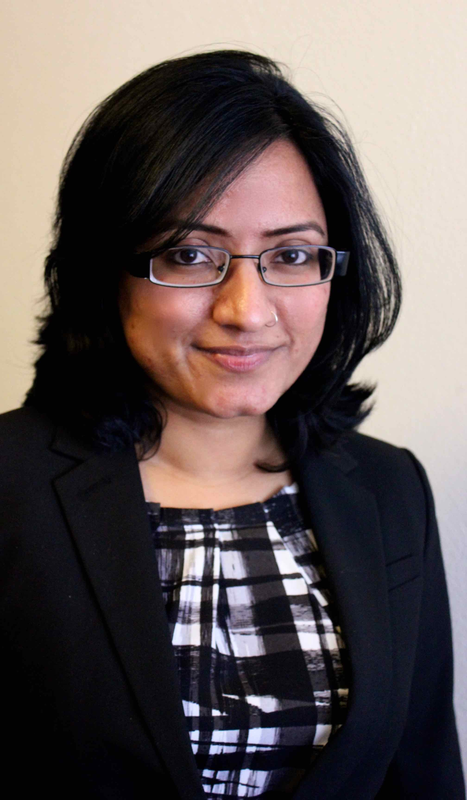 Renu researches migrant activism within the Indian diaspora and has been a volunteer with the international movement for justice surrounding the Bhopal gas disaster for over three years. She is interested in the barriers to and the possibilities for forging a transnational environmental and reproductive justice movement in the context of the Bhopal disaster. Renu is the Chapter and Volunteer Coordinator of the Association for India’s Development (AID-US) and former Community Outreach Coordinator for the International Campaign for Justice in Bhopal (ICJB). She got involved with the ICJB in 2012 when she visited Bhopal for her Ph.D. field research supported by the Stanley Graduate Award for International Research. The Nicaraguan government awarded a concession to build an inter-oceanic canal to a Hong Kong based company owned by a little-known Chinese billionaire. This concession was given without bidding, or completion of impact assessments. The project may damage regional biodiversity and rare ecosystems like Lake Cocibolca, (a.k.a. Lake Nicaragua), a unique freshwater tropical lake which serves as Central America’s main freshwater reservoir. Jerry Schnoor will discuss these issues as well as the socio-economic impacts on local people and regional interests. Jerry Schnoor is a Professor in the Departments of Civil & Environmental Engineering, and Occupational & Environmental Health. He joined the University’s College of Engineering in 1977, and holds the esteemed Allen S. Henry Chair in Engineering. His research interests include carbon sequestration, water quality modeling, phytoremediation, and the causes of global warming. 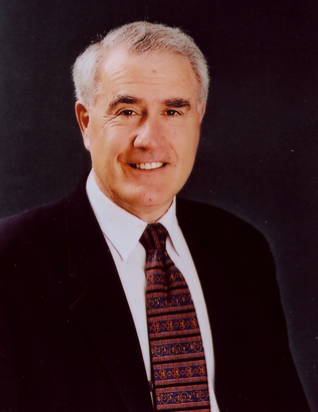 Schnoor earned a Ph.D. in Civil Engineering in 1975 and an M.S. in Environmental Health Engineering in 1974 from The University of Texas. In 1972, he received a B.S. in Chemical Engineering from Iowa State University. Jerry is Editor-in-Chief, Environmental Science and Technology (American Chemical Society). According to NASA and the National Climate Data Center, August 2014 has gone in the record books on a world-wide scale as the hottest August to ever be recorded. Climate change is a pressing issue that requires national action by the United States and international American leadership. This is the world we live in, and every American has the right to become more informed, more involved, and more expressive to fight against climate change and for sustainability. 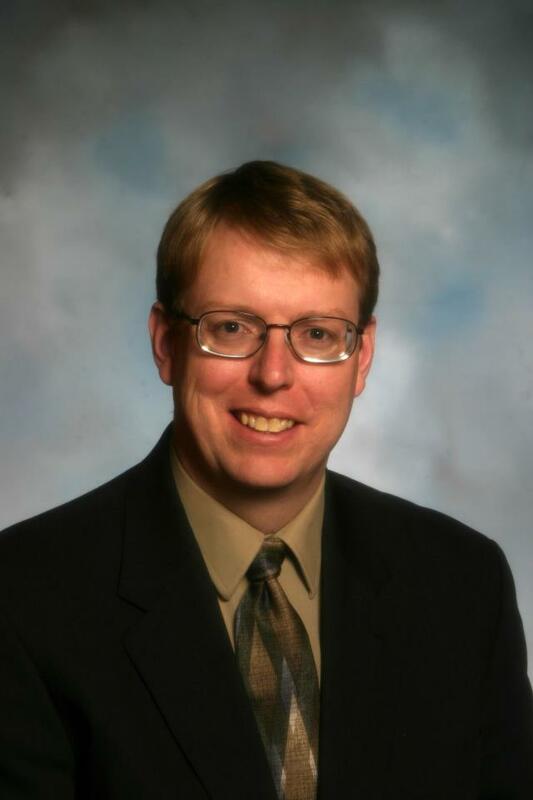 Rob Hogg is a state senator from Cedar Rapid serving his second term consecutive in the Iowa House. He is a native of Iowa City, graduated from the University of Iowa in 1988 with a degree in history, obtained his M.A. in Public Policy in 1991 and J.D. in 1995, both from the University of Minnesota. In the Iowa Legislature, Senator Hogg is recognized as a leader in energy and disaster preparedness. In 2013, Senator Hogg published a book, “America’s Climate Century”, which he says is the most succinct, accessible, patriotic and practical book available for busy citizens about the climate problem and climate action. The issue of climate change is something we all hear about, but nowhere is it more of a reality than in the Arctic. The Arctic is warming at twice the rate of the rest of the planet, with devastating consequences for the people and animals that depend on their environment to survive. Elizabeth will discuss the impact climate change has had on the plants, animals and people of the Arctic, with a special emphasis on the health implications of global warming in that region. Elizabeth Bowen is a fourth year medical student at the University of Iowa Carver College of Medicine. Before coming to medical school at the University of Iowa, she graduated the University of Maryland, with a B.A. in Russian language and literature. She spent four years working in Russia, primarily in counter-human trafficking. More recently, she worked with the University of Tromsø, in Tromsø, Norway, toward expanding their Arctic health projects to new sites within Russia.